We are your one-stop remodeling headquarters with qualified designers, knowledgeable sales staff, professional contractors, and top quality products that will transform your kitchen or bath. We've developed an amazing team here at Creative Professional Remodeling, and consider it a privilege to be invited to help make your house become more of a home! Huntington Home Solutions, LLC is formally a combination of Choice Kitchens Inc., a successful Kitchen and Bath company for over 26 years, and Huntington Home Inspections, which was formed in 1995. Our experience in quality home renovation includes kitchen remodeling, custom home additions, roofs, decks and more, and our expertise has led to a steady stream of referrals. Innovation and experience have been a Dillman & Upton tradition for over 100 years. Whether you purchase lumber, trim, cabinets, windows or complete kitchens or baths, you can rely on Dillman & Upton. Southeast Michigan Expert Kitchen & Bath Remodeler- 6x Best of Houzz! There’s a reason every design is different; let us listen to you. We're dedicated specialists in Kitchen & Bath Design, and bring over 60 years of experience, and pleased customers with us. Earth Stones Group is a full service company focusing on kitchen and bathroom renovations. All work is preformed by Our own employees, no subcontractors. We have a countertop fabrication facility along with a cabinetry shop which offers endless design possibilities for our customers. We pride ourselves on being an innovative and customer focused company. Check out our portfolio and our customer reviews. BEST service awards 5 years in a row! Contact us now to schedule your 2019 project! We are a full service Design-Build Remodeling Company. Our goal is to assist you with your Remodeling Project and our team of professionals would love to help with Designs and Material Selections. Kitchens and bathrooms are two of the hardest-working spaces in any home. When it’s time to update them, ensure that they stay at peak functionality by hiring a Royal Oak kitchen and bathroom remodeler. With an eye for aesthetics, a practical approach to layout and design, and the skills of a contractor, a bath or kitchen remodeler in Royal Oak, MI can help you execute a remodel suited your personal style and needs. 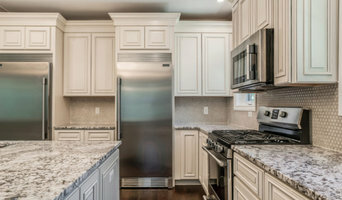 What does a Royal Oak kitchen and bath remodeling expert do? Licensed Michigan kitchen and bath remodelers are contractors who specialize in altering the structure of an existing space, rather than building one from the ground up. Because he or she must deal with a previous builder’s work, the job can get more complicated than new construction. You might wonder why they often specialize in both kitchens and bathrooms, but if you think about those two spaces, they actually have a lot in common. Kitchens and bathrooms include an abundance of fixtures that require careful planning and installation, including sinks, faucets, tubs and toilets that all need water hookups and drainage. They also use similar materials, such as tile and stone for countertops and flooring, due to the nature of their use. 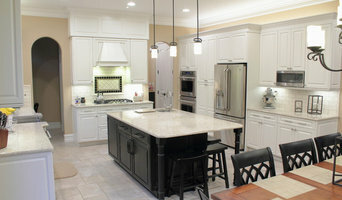 So it makes sense that Royal Oak kitchen remodelers and bathroom remodelers be one in the same. A bathroom or kitchen remodeler translates architectural plans from page to reality; some are also trained to provide design services so that you don’t have to hire a separate pro. Like a general contractor, a kitchen and bathroom remodeler in Royal Oak, MI is responsible for hiring and supervising subcontractors and providing materials when necessary. They also should have a thorough knowledge of Michigan building codes and construction-related legal issues, as well as current design and product trends. Here are some related professionals and vendors to complement the work of kitchen & bath remodelers: Woodworkers & Carpenters, Kitchen & Bath Designers, Interior Designers & Decorators, Architects & Building Designers, General Contractors. 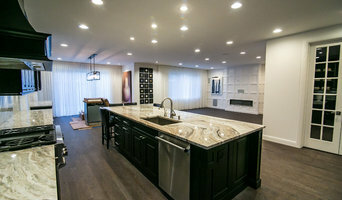 Find a Royal Oak kitchen and bathroom renovator on Houzz. Narrow your search in the Professionals section of the website to kitchen and bathroom remodelers in Royal Oak, MI. You may also look through photos of Royal Oak, MI spaces to find kitchens or bathrooms you like, then contact the bathroom or kitchen remodeler who worked on it.